Home Android and iOS Game Apps Pokemon GO Tips and Guides Pokemon GO: Best Time To Upgrade - Evolve or Power-up First? Pokemon GO: Best Time To Upgrade - Evolve or Power-up First? Here's a guide to help Pokemon GO trainers decide when to Evolve or Power Up their Pokemon. 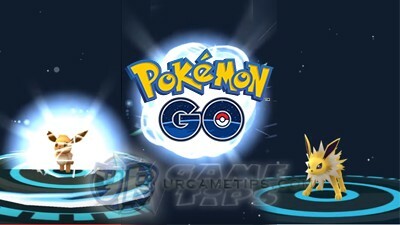 - Using Stardust and Candy, Trainers can power up their Pokemon to increase their CP and HP. - You can obtain Stardusts and Candies whenever you catch, hatch, or transfer Pokemon of any species. - Example, you obtain Squirtle Candy by catching, hatching, or transferring any Pokemon in the Squirtle family (Squirtle, Wartortle, and Blastoise). You need Squirtle Candy to Power Up a Squirtle, Wartortle, or Blastoise. - These items are specific to each Pokemon Evolution family. - Evolution requires a different amount of Candy for each species. Pokemon that require more Candy to evolve tend to show greater gains in CP. Evolved Pokemon generally have higher CP and HP, making them a valuable addition to your collection. Important Note: ONLY AT HIGHER LEVELS! - Please note that all suggestions below should only be followed once you reach higher levels (around Trainer Lvl 20). Yes, once you feel that leveling is starting to progress really slow, and surpassing your current highest CP Pokemon seems a little bit hard because of your current Trainer LvL. Evolve? or Power Up First? 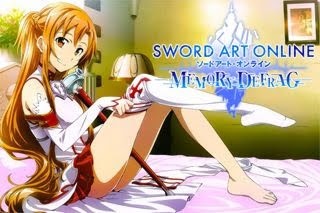 - Once you gain enough gameplay experience, you'll start to wonder of these things. Well after some experiments made by many players so far, evolving first or powering-up first doesn't really give a notable difference, their CPs and stats are still pretty close to each other. - If you match their CPs close to each other, the result would still be the same as above. - The only noticeable thing is that it's easier to get a higher CP Pokemon through Normal evolves than finding an evolved one from the wild. Do Not Use Your Stardust! - I really do not recommend using Power-Up at this point, save your Stardust instead for late game (like when you reach the Max Trainer Lvl), for your highest CP and fully evolved Pokemon. Yes, because they will require lots of Stardust, and it's your only way to push their CPs higher. - So that being said, Power-Up is no longer an option anymore at mid game, so the answer to the title question is "Evolve First, and Evolve Only!". Just do evolves to keep getting high CP Pokemon until late game. - You can evolve them just to add their info to your PokeDex. However, I suggest that you only take their 1st evolution phase, since the next one ("if applicable") will require x4 of the Candies you just used. - Evolving a Pokemon gives 500XP + another 500XP for very new Pokemon, so if you can trigger a Lucky Egg and evolve lots of Pokemon, you'll receive a nice boost to your Trainer Lvl at higher levels! - This is probably the reason why you need multiple high CP Pokemon: To conquer or defend your team's Gym/s and to collect Daily Defender Bonuses (redeemable from the SHOP). - Here's some tips, but like I said above, do this only at higher levels. When Is The Best Time To Start Evolving? - My suggestion is to check your Pokemon's "Stardust Requirement" per Power-Up as basis. - If you want to target around 1000 CP Pokemon for your first wave of evolution attempts, I recommended that you check the Stardust requirement of your Pokemon if it's around 2200 to 2500 or more Stardust. If yes, then you might want to consider evolving those Pokemon. - If leveling is still manageable for you or if you don't want to get involved on any Gym fights, then you may target a higher Stardust Requirement. Why Use Stardust Requirement As Basis? - This is because if let's say I would recommend that you should evolve your Pokemon that are around 500 CP, the problem is that, some Pokemon with only around 100 CP can also evolve to more than 1000 CP! Yes, Magikarp for example, and looking for a wild 500 CP Magikarp is impossible at this point of the game. - Note: A Magikarp with 120 CP that requires 2500 Stardust per Power-Up can evolve to a Gyarados with over 1300 CP! What's Next After My First Wave Of Evolutions? 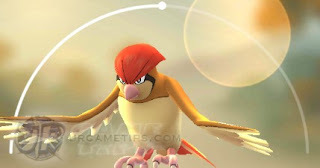 - It will take some time to reach and normally find Pokemon that are at least 1500 CP from the wild, so your 1000+ CP Pokemon at the moment should be enough to take on some Gym battles (this will not guarantee wins though, because it would still depend on how strong your opponents are, and how well you can counter all enemy Pokemon). When Is The Best Time To Evolve Again? - Probably, once your high CP Pokemon's CP Arc Point starts to degrade and reach around 75% or less (or once you can find Pokemon with around 3500 to 5000 Stardust requirement per Power-up). For more info about CP Arcs, refer below. - For your target Pokemon to evolve, find one with orange or red target ring, because they will probably reveal high CPs. Use berries and/or stronger PokeBalls if needed. - If you are lucky, you can also get a high CP Pokemon from 10.0 km Eggs. Note that All Pokemon can hatch from 10.0 km Eggs. How To Determine The Best Duplicate to Evolve? - First let me explain CP Arcs (semi circle on top of your Pokemon). - The right most end of the arc is called the Max CP Cap, and will increase as your Trainer levels up. - So, if the CP Arc Point of your target Pokemon is around 50% (center), that means that you can still find and catch one with a higher CP. - It's really hard to find a perfect one so it's ok to settle around 85% to 95% CP Arc Points. Evolving Based on CP Is Not Always Great! - Yes, a 500 CP Pokemon would still end up as a lower CP when evolved, compared to 1000 CP or so, BUT, if the CP's are relatively close to each other, then the end result would depend on the game's RNG (random number generator). So, if all of your Pokemon's CPs are relatively close, it's possible that any of them would be able to get the highest CP over the others, and with of course different percentage chances, favoring the higher CP ones. - It's better to find a Pokemon to evolve that has the highest CP, and lowest Arc Point possible (farthest from the end of the arc). Yes, to give you more room in-case you decide to Power-up your Pokemon for more added stats before he/she hits the CP cap. Power-Up only at higher Lvls though, around Lvl 30+. - Example #1: 2 Pokemon with identical 500 CP or close, but one has 90% Arc Point and the other has 80%. It's better to choose the 80% one since it has more potential when both are maxed with Power-Ups. - Example #2: 2 Pokemon with identical 500 CPs or close, the other has 2500 Stardust Requirement, while the other one has 2200. It's better to choose the Pokemon with 2200 Stardust Requirement because it has more potential. Advanced Evolution Tips: The IVs (For Non-Casual Trainers) UPDATE! - These are hidden stats given to each Pokemon to have an edge over similar specie. - If you are looking for the best factor to determine which base Pokemon to evolve, this is it! Note that this will make your game complicated, so it's up to you to decide if you want to follow it or not. - Refer to our IV guide here: Pokemon GO: What Are IVs? - Move Set will randomly change (that also means that it's better to evolve first to get the move set you like before Powering Up your Pokemon). - HP is totally random (RNG), tested by many trainers. 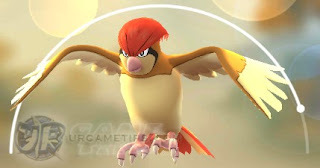 - The CP Increase Ratio differs depending on the number of evolution phases and specie of the Pokemon. - The Pokemon's CP Arc Point remains the same after evolution. - Tap on Eevee's name and replace with the following to force its evolution! - After renaming Eevee's name, restart the game to make sure the name went through. After evolving, rename to their original names before trying another one. - I highly recommend getting Vaporeon first, Flareon next, then Jolteon. - Update: It will now only work the first time, per name. The next ones are completely RNG. - Pokemon GO: What Are IVs?, Do They Carry Over After Evolution?